For Corruption Watch 2018 was even more of a momentous year than was 2017. Here are some highlights from the anti-corruption space, most of which involve government of government officials being held to account. We look forward to more of the same in 2019. The ANC in Gauteng showed decisive leadership recently when it removed former health MECs, Qedani Mahlangu and Brian Hlongwa from its provincial executive committee. This followed public pressure and what the party’s provincial leadership said was a need for the pair to “self-correct” Mahlangu and Hlongwa have been directly linked to separate cases of alleged corruption and abuse of power during their respective tenures in office, Hlongwa took office from 2006 to 2009 and Mahlangu from 2014 to 2017. It was during Qedani Mahlangu’s term that the Gauteng Health Department recorded at least 144 deaths of mental health patients who were removed from the Life Esidimeni healthcare facility to various NGOs, some of which were not registered or equipped to receive patients. An arbitration process that included public hearings was held from the end of 2017 to March 2018, in which the provincial health department’s leadership was made to account for the tragic affair. It was presided over by former deputy chief justice Dikgang Moseneke, who ordered government to pay compensation to the affected families. NEW (NPA) SHERIFF IN TOWN! President Cyril Ramaphosa recently appointed a permanent new national director of public prosecutions to oversee the troubled National Prosecuting Authority (NPA). Advocate Shamila Batohi inherits an NPA that has been riddled with scandals and procedural failures for some time. Her predecessor Shaun Abrahams was declared by the Constitutional Court as having been appointed unconstitutionally by former president Jacob Zuma, who had removed Mxolisi Nxasana from the position when he started investigating the untouchables of the political world. Batohi came highly recommended by a panel of interviewers following an unprecedented, open process that saw 11 candidates quizzed in a public forum. Previously, the person who gets to head up the NPA was appointed at the discretion of the sitting president. 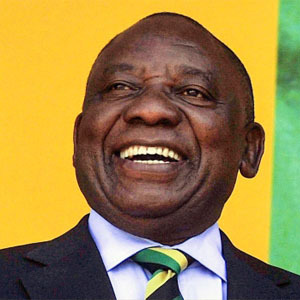 President Cyril Ramaphosa followed on the recommendations of the Nugent commission of inquiry into alleged governance irregularities at Sars by firing commissioner Tom Moyane. The former taxman is reported to be a staunch ally of former president Jacob Zuma, and the establishment of the commission and his subsequent removal are seen as a move to clear traces of a Zuma agenda linked to certain state agencies. Moyane is not taking his dismissal lying down, however. After the high court dismissed his application to have his dismissal overturned, his legal team said they would head to the Constitutional Court next. A victory for Corruption Watch and South Africa at large was the ruling by the North Gauteng High Court on 23 March this year in which the court ordered Cash Paymaster Services to pay back R316 million – with interest – to the South African Social Security Agency. Sassa made the payment to CPS without verifying the work done by the company, in 2014 CPS claimed that they had enrolled more grant recipients than they had been contracted to enrol, the then Sassa chief executive officer Virginia Petersen accepted the claim by CPS without verifying it. Another show of judiciousness from our courts came in the form of a ruling to former National Prosecuting Authority head Mxolisi Nxasana to repay just over R10-million to the state, part of the money given to him as a “golden handshake” by former president Jacob Zuma in 2015. Nxasana resigned from the position following apparent interference from Zuma, who had instituted an inquiry into his fitness for office. There has been wide speculation, however that Nxasana’s hand was forced as his choice of investigations proved uncomfortable for Zuma and those close to him. He was replaced by Shaun Abrahams, who would later be removed by a Constitutional Court confirmation hearing of a judgment of the North Gauteng High Court that his appointment by Zuma was unlawful, unconstitutional and a show of abuse of power by Zuma. Before leaving office at the beginning of the year, former president Jacob Zuma announced the establishment of a commission of inquiry into alleged state capture. It stemmed from a recommendation of former public protector Thuli Madonsela, whose office had investigated allegations of the capturing of several state organs and departments. Deputy chief justice Raymond Zondo was appointed to chair it, giving it its less formal name of “Zondo commission”. He quickly set up a team of investigators, researchers and senior legal counsel who hit the ground running in the early months of the year. It was in August that the public hearings of the commission began, with explosive evidence being heard from witness that came in the form of former and current ministers; directors-general; spokespersons and even ordinary whistle-blowers. The commission is currently on break until January. Corruption Watch has been covering the proceedings and providing content to community media on a regular basis. Following the defeat of Nkosazana Dlamini-Zuma and the election of Cyril Ramaphosa as ANC president at the party’s elective conference in Johannesburg in December last year, it was only inevitable that Jacob Zuma would step down as president of South Africa. He did so on Valentine’s Day, but not before creating a tussle within his own party’s national executive structure over which move would be appropriate to adopt: that of removing him or letting finish his term in 2019. Clearly the group advocating for the former won the debate. Zuma was ushered out of office, and Ramaphosa came in with a laundry list of areas of concern for his government that he was going to sort out. 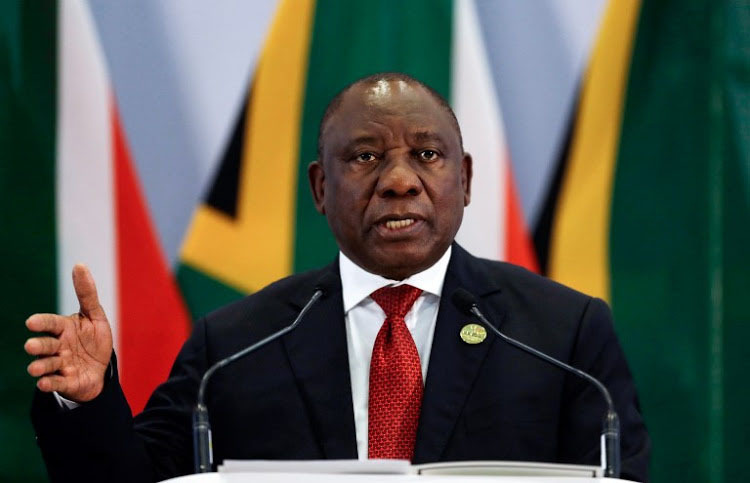 His Thuma Mina campaign – articulated during his state of the nation address – implores all South Africans to do some work to eradicate the scourge of corruption and maladministration that has engulfed government entities by holding public office accountable. In his resignation statement, Zuma said he did not fear impeachment but he resigned as he did not want violence on his name nor to divide the ANC. The North Gauteng High Court has ruled that Zuma must pay for his own legal fees for his corruption trial, Deputy judge president Aubrey Ledwaba also ordered Zuma to pay the legal costs of the opposition parties and further advised state attorney to by all means recover all the state funds already spent on the case.